If you want to create in your office or homeelegant and original interior, look for Roman blinds. 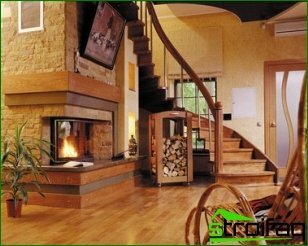 They not only will be a highlight in the design of the room, but also be able to protect him from drafts, heat, create the desired lighting level. Roman blinds are a canvas, whichIt is set to the window opening and closes it securely. A special mechanism is used to raise them. Fabric itself thus distributed to the horizontal portions which are arranged at regular intervals, and sections for imparting stable form rigid rods are used. When the curtains are raised through the mechanism of theirsection are formed, the material forms a very elegant horizontal folds. The lower portion curtains retains a predetermined shape. Therefore, if the wind blows, the product will not fly - the special weighting ensure its stable position. By the principle of raising and lowering the curtains resembletraditional shutters. To achieve this goal through the rings located on the backside of the product, the cords are passed. Then, they are discharged laterally. One has only to pull the cord in the right direction, and the blind will start to move in the corresponding direction. 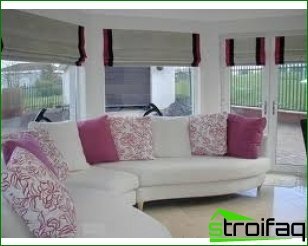 Custom-made Roman blinds allowto create the most fashionable interiors. Today popular minimalism, in which the premises are made easy and convenient. The roman blinds are no frills and lush folds that allows you to fully comply with the requirements stated above. 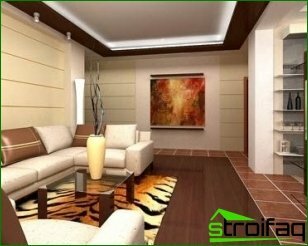 This style uses special recognition, which is why products are installed in offices, living rooms, expensive restaurants and other facilities. 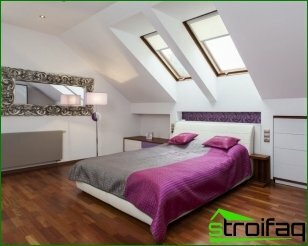 With the help of Roman blinds can be implementedalmost any style. Originally, they were intended for the arrangement of minimalist interiors, they can be used effectively to complement the retro, modern and other styles. Decorating can produce forged orlacy eaves, causing the Roman shades will have a different look. They can be in harmony with tulle and drapes. Correctly choosing the fabric and colors, you can achieve an excellent combination created the ensemble. One of the advantages of Roman blinds is theirhigh practicality. Often they can help out when the use of classical curtains unnecessarily or inappropriately. An example is the glazed balconies, kitchen and narrow deep openings. 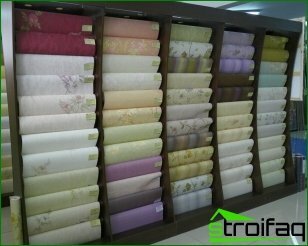 For the manufacture of Roman blinds are oftenused thick fabrics that passed a special impregnation. As a result, the product effectively repel heat and are a real escape from the summer heat. In addition, these blinds allow you to adjust the amount of entering the room, the sun's rays - a wide range of fabrics from delicate and transparent to very dense. As can be seen, Roman blinds have many advantages. 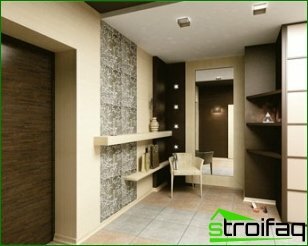 If you want to create original and exclusive interiors, why not use them?